The state of Vermont offers students in radiologic technology the opportunity to pursue either an Associate of Science or a Bachelor of Science degree. In a state and a region with a comparatively high cost of living, radiologic technology is a career field that offers fairly high salaries, and good benefits. Health sciences, and radiologic technology in particular, is also a very fast-growing field and offers promising job prospects to new professionals. In 2017, radiologic science professionals in Vermont were able to command an average annual salary of $60,340. This figure is marginally above the the national average for this profession of $60,320 per year. Vermont has a higher cost of living than much of the state, so students looking to study and work in this state may want to pursue one of the baccalaureate programs that will qualify them for more advanced and better-paying positions. More information on Rad Tech salaries in Vermont. Radiologic science professionals in Vermont must pass the appropriate state or national exam in order to practice, or have a current certification from a state with equivalent standards. 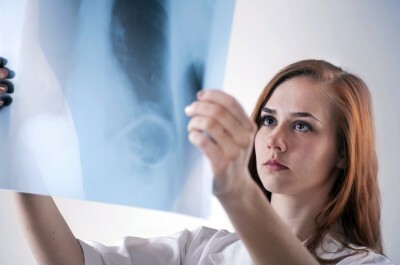 The national exam for radiographers, radiation therapists, fusion imaging technicians, and X-ray technicians is overseen by the American Registry of Radiologic Technologists (ARRT), and the exam for nuclear medicine practitioners is overseen by the Nuclear Medicine Technology Certification Board (NMTCB). All radiologic science professionals in this state are required to complete 24 hours of continuing education every two years. University of Vermont: The University of Vermont in Burlington is the small but nationally acclaimed public university in the state of Vermont. Students at this university may pursue a Bachelor of Science degree in medical radiation sciences. The program takes approximately four years to complete, and students must be granted acceptance to the university before entering the program. Southern Vermont College: Southern Vermont College in Bennington is a private four-year liberal arts college. Among the majors offered here is a Bachelor of Science in Radiologic Sciences. Transfer students with existing two-year degree and ARRT certification are often able to complete the Southern Vermont curriculum in under 1.5 years. Without a previous degree or certification, the full program of study at Southern Vermont should take two-years for transfer students and four years for new students. College of Saint Joseph: The College of Saint Joseph in Rutland is a private Catholic institution with two programs in radiography. Students in radiography at Saint Joseph may pursue either a Bachelor of Science in Radiologic Science degree or a Bachelor of Science in Radiography Management. Hospitals and medical centers are the largest single employers of radiologic technology professionals. The small state of Vermont has a relatively small number of full service hospitals, so job hunters in this state may also look to doctors offices and diagnostic centers. There is a Vermont Society of Radiologic Technologists affiliated with the American Society of Radiologic Technologists (ASRT), but this society does not currently have a website. Professionals in Vermont are encouraged to contact the ASRT directly for information, career support, and for annual meetings of professionals in the field.